ST. MEINRAD—Beams of late afternoon sunlight poured into St. Thomas Aquinas Chapel at Saint Meinrad Seminary and School of Theology. Nearly 140 seminarians from across the country and around the world had gathered for Mass on the day most of them moved into the Benedictine-operated seminary nestled in the hills of southern Indiana for the 2010-11 academic year. Jerry Byrd, a seminarian for the Archdiocese of Indianapolis, played the organ at the back of the chapel during the Mass. When he first arrived at Saint Meinrad four years ago, less than 100 seminarians were enrolled there. But on Aug. 26, nearly 40 more men filled the chapel. “Seeing the numbers go up is great,” Byrd said after the Mass. “Seeing the number of international students go up is great, too. It lets me see that what’s happening here at Saint Meinrad—in the middle of nowhere in the hills of Indiana—is going to go out into the universal Church. In 2006, when Byrd became a seminarian, there were 94 men studying for the priesthood at Saint Meinrad. That number increased by only one in 2007. But in 2008, there were 109 seminarians. Last year, 121 men were enrolled there. And now there are 136 seminarians from 35 dioceses and religious communities, including some from India, Korea and Vietnam. There haven’t been this many seminarians at Saint Meinrad since 1985. Such growth has amazed seminarians like Byrd, and even surprised Benedictine Father Denis Robinson, Saint Meinrad’s president-rector. According to Father Denis, there are several reasons for the growth in seminarian enrollment at Saint Meinrad—improved relationships with dioceses, strengthening of its priestly formation program, support given by the alumni of Saint Meinrad, a re-alignment of enrollment in seminaries across the country, and the closing and consolidating of some smaller seminaries. He also noted that there has been a general increase in the number of seminarians nationwide in recent years. Beyond the causes, however, the growth at Saint Meinrad has forced its administrative staff to rearrange its housing, classrooms and even its chapel seating. 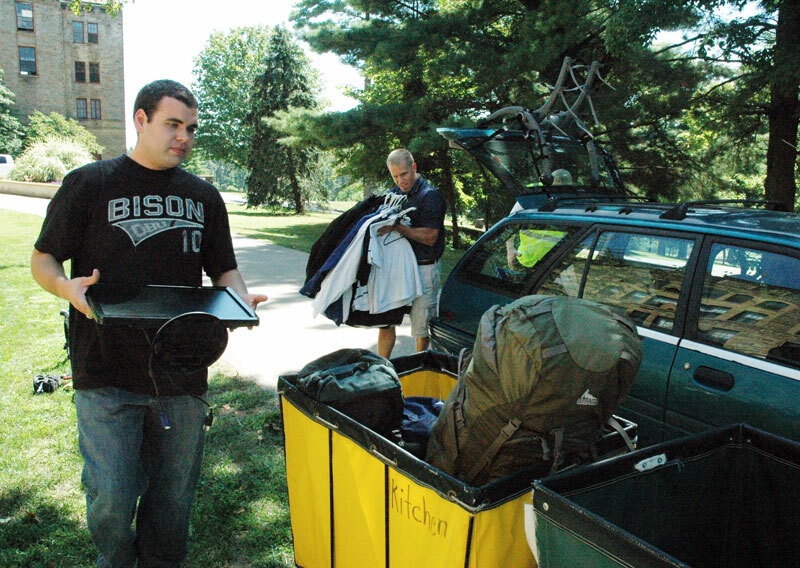 For the seminarians, the increased enrollment has been a blessing. Deacon Boehm expects to be ordained a priest for the Archdiocese of Indianapolis next June. Byrd, who expects to be ordained a transitional deacon next spring, first arrived at Saint Meinrad with Deacon Boehm in 2006. One of the unique aspects is the international nature of the seminarians at Saint Meinrad. They come from 14 countries on five continents. Some are affiliated with dioceses or religious communities in the United States. In some cases, dioceses and religious houses from other countries are sending men to Saint Meinrad for priestly formation. Deacon Boehm said getting to know seminarians from three dozen dioceses and religious orders helps him in his formation for the priesthood. Byrd said having additional voices and instrumentalists for liturgical music ministry at Saint Meinrad is an advantage. But seeing how the formation staff at Saint Meinrad helps prepare him and the multicultural seminarians for the priesthood is far more important to him. The bishops who are sending seminarians to Saint Meinrad often do so through the collaboration of their vocation directors. Father Eric Johnson, director of vocations for the Archdiocese of Indianapolis, said Archbishop Daniel M. Buechlein made a “conscious decision” several years ago to send the vast majority of the graduate-level seminarians to Saint Meinrad Seminary and School of Theology after having sent seminarians to three or four seminaries in the past. The Archdiocese of Indianapolis currently has 16 seminarians enrolled at Saint Meinrad. Father Denis said other bishops have also chosen to send more of their seminarians to just one seminary. Saint Meinrad is now the primary graduate-level seminary where Archbishop Eusebius J. Beltran of Oklahoma City sends seminarians. But the Oklahoma City archbishop hadn’t sent any seminarians there from 2000-09. Now there are seven seminarians from there at Saint Meinrad. Father William Novak, the Archdiocese of Oklahoma City’s vocation director, said that Saint Meinrad has historically prepared men well for priestly ministry in the Midwest, and continues to do so as the ethnic makeup of the faithful Church in that region changes. “Over the past 10 years, Saint Meinrad has developed a very good program for Hispanic ministry, taking into account the [needs of the Church in the] Midwest,” he said. As happy as many people connected to Saint Meinrad are about its current upswing in seminarian enrollment, there are questions on the horizon for the seminary. Father Denis said that question is “almost in our daily conversation” for him and his staff. Seth Gogolin, a seminarian for the Diocese of Duluth, Minn., in his third year of theological formation at Saint Meinrad, doesn’t think the larger number of men who are filling the chapel in the seminary has had a negative effect on their formation. The dining room at the seminary has enough room for its increasing enrollment. Housing, classrooms and even the seminary’s chapel, though, have needed rearranging to fit the current number of seminarians. Benedictine Father Godfrey Mullen, Saint Meinrad’s vice rector, supervised that process, which had to be done quickly. Father Godfrey said he didn’t have firm numbers for this year’s enrollment until the end of July. The growing seminarian enrollment has forced Saint Meinrad to dedicate some of the residence rooms used for guests and weekend students in its lay degree programs to the seminarians. Makeshift rooms in the seminary’s library have been arranged to fit larger class sizes that older classrooms cannot accommodate now. And the seminary staff was forced by the increased enrollment to return the orientation of the St. Thomas Aquinas Chapel back to the way it was before a renovation during the 1960s. It was refurbished for a second time less than a decade ago when the enrollment was expected to stay far below its current level. Saint Meinrad is now in the process of raising funds to renovate St. Bede Hall, which, when completed, will provide additional residence rooms and classrooms. The changes to accommodate the larger number of seminarians was a bit surprising to Gogolin when he returned to Saint Meinrad. But he liked the meaning behind the changes.